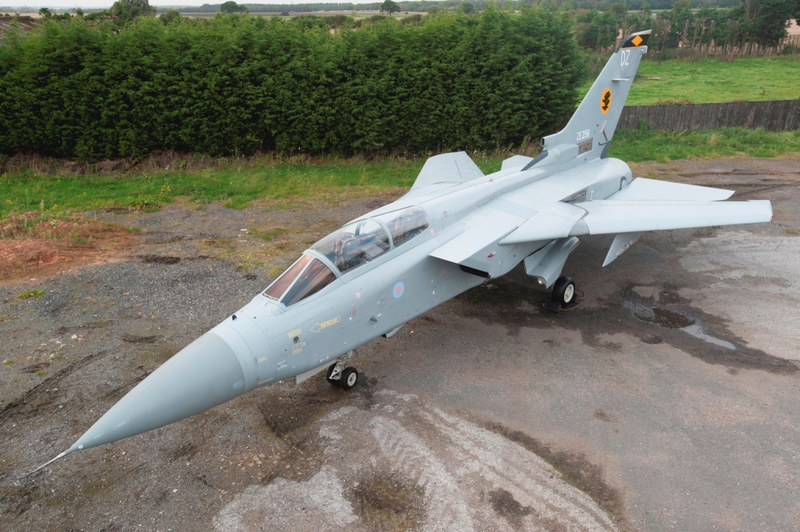 An extremely rare ex-RAF Panavia Tornado F3 will come up auction in the UK this Saturday. The Tornado F3 was the last of the RAF’s pure interceptors, and evolved from the earlier Tornado GR1 ground attack variant to replace the iconic English Electric Lightning. It shared much of the GR1’s structure and systems, but had a lengthened fuselage to accommodate the extra fuel required for long-range patrols. The F3 was exceptionally fast, being capable of flying at nearly 1500mph at altitude. The RAF retired their F3 fleet in 2011 after just over two decades defending the skies over Britain and elsewhere. They served in combat during several conflicts in foreign lands, including the first and second Gulf Wars. Sadly, the RAF elected to “Reduce to Produce” all but a handful of their Tornado F3s upon retirement, stripping them of parts useful for the ground attack Tornado variants still operating, and scrapping what remained. This particular aircraft is the only privately owned, structurally complete Tornado F3 in the world, and is likely to be the only ex-RAF example ever to come up for public sale. Saudi Arabia is the last of three countries still flying the Tornado F3. These aircraft will retire as soon as their replacement Typhoon IIs arrive in strength, and probably have less than five years before that day arrives. Quite what will happen to the Saudi F3s is unknown at present, but it’s possible that the majority will return to the UK, as did their EE Lightning predecessors when the Saudis first acquired Tornados during the late 1980s. Whether any Saudi F3s will survive as complete aircraft is debatable at present though, considering what happened to the ex-RAF F3s. 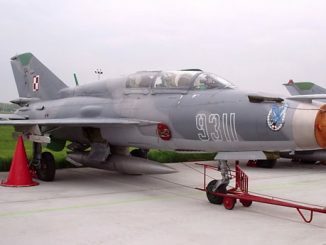 This Saturday might indeed be the only chance ever to acquire an Air Defense Variant Tornado. The Tornado F3 currently up for sale rolled off the British Aerospace production line at Warton, Lancashire in 1988 as ZE256. She served with RAF 29 Squadron initially, then transitioned through 5 Squadron and 56(R) Squadron before closing out her career with 111 Squadron. Some interesting moments in her career include a period as the CO’s bird with 56 Squadron, training exercises in Malaysia and Alaska, as well as providing the backdrop for 29 Squadron’s decommissioning ceremony in 1998. The aircraft has recently undergone a sixteen month restoration with Jet Art Aviation, who finished her off in XI(F) Squadron colors. 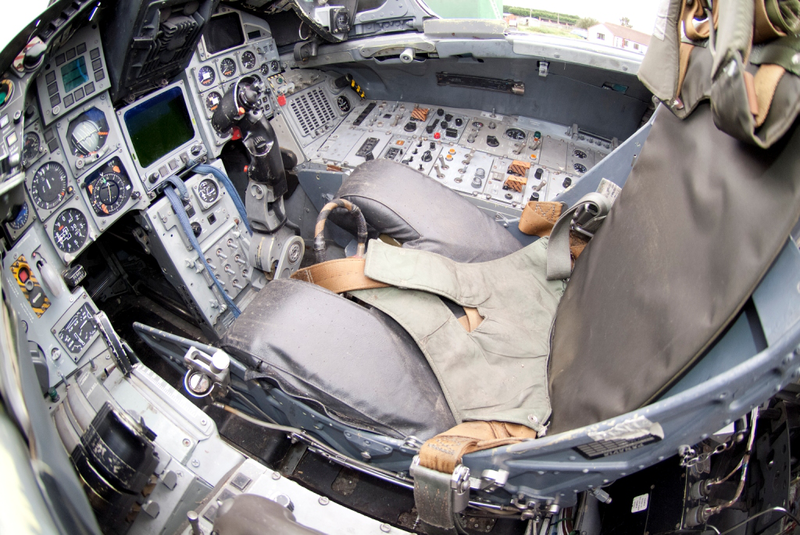 Jet Art Aviation has become quite the specialist in restoring ex-RAF jets. You can see more detailed photographs of ZE256, as well as some of their other products HERE. ZE256 is externally complete, and has a fully equipped cockpit interior including the two Martin Baker Mk 10A ejection seats. The canopy opens and closes with a hydraulic hand pump. Both front and rear cockpits have a full set of flying controls, making this aircraft a little unusual, as only about a third of the production run had the “twin stick” configuration. 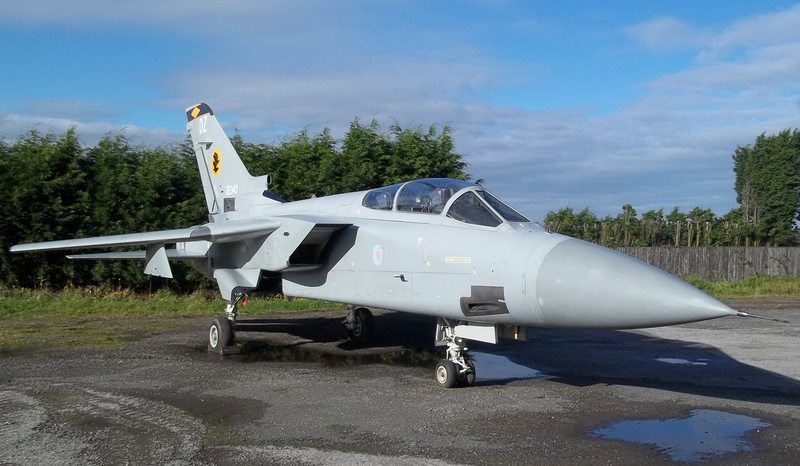 The Tornado is not airworthy, and for display purposes only. 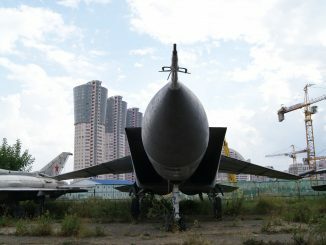 It lost all of its armament and weapons systems, as well as many of its internal systems during the decommissioning process. For example; the Foxhunter radar, associated avionics boxes, RB199 engines and the Auxiliary Power Unit are absent. Silverstone Auctions will be conducting her sale as part of a much larger classic automobile and aeronautica auction on Saturday, July 26th at the world famous Silverstone race track in Towcester, Northamptonshire. Please click HERE to learn more about the auction. No Saudi Tornado ADV aircraft flying any more. All Have been scrapped. 11 remain in the aircraft scrap dump at Tabuk, the rest have been distributed around Saudi Arabia as gate guards.The 11 air frames are hulks having been stripped of components that could be used for IDs variant. I was last there in July 2014, getting parts for use as display parts for the air base museum. (Not open to the public).